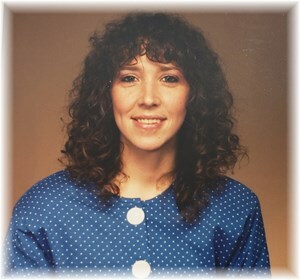 Stella K. Carmer, 56, of Indianapolis, passed away April 4, 2019 at her residence. Stella was born on October 19, 1962 to William & Jerry (Israel) Stewart. Stella is survived by her husband of 35 years: David M. Carmer; son: Michael Carmer; grandchildren: Aryanna Pierson, Zayden Carmer, Brayden Pierson, Kaysen Carmer; sisters: Leslie Chesher, Crystal Chesher; and a host of other family and friends. Stella was preceded in death by her parents; daughter: Amber Carmer; sister: Charla Baker. To share a memory of Stella or leave a special message for her family, please click the "Share Memories" icon above. Add your memories to the guest book of Stella Carmer.